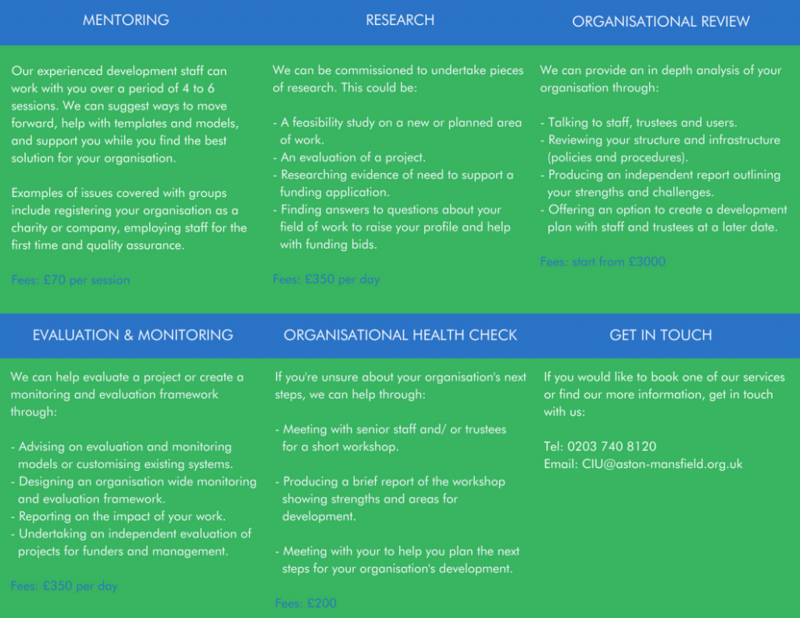 We offer a range of services in support of the voluntary and small charity sector in east London. Please see the image below for more details and pricing on each service. Click HERE for a PDF version of our services.